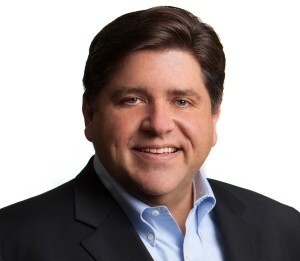 CHICAGO (January 21, 2016) – J.B. Pritzker, the Chicago entrepreneur, investor and philanthropist, is the chair of the Equality Illinois 25th Anniversary Gala, the state’s oldest and largest LGBT advocacy organization announced Thursday. The Equality Illinois 25th Anniversary Gala will be held on Saturday evening, February 6, 2016 at the Hilton Chicago. The honorees that night include House Democratic Leader Nancy Pelosi, who will be recognized with the 2016 Equality Illinois Freedom Award for her visionary advocacy for the rights of lesbian, gay, bisexual and transgender American. The Mariano’s grocery chain will be given the 2016 Equality Illinois Business Leadership Award for its outreach to the LGBT market and embrace of LGBT employees. Mr. Pritzker is Co-Founder and Managing Partner of Pritzker Group. He was appointed the founding chairman of ChicagoNEXT, the mayor’s council on innovation and technology, and he founded 1871, Chicago’s digital startup center. Mr. Pritzker is dedicated to the cause of LGBT equality. Over a decade ago, he single-handedly enabled the launch of the Equality Illinois training and policy institute. That initiative was the precursor of the LGBT Equality Institute now held annually in Chicago and Springfield. Since its founding, the Institute has trained hundreds of organizers and contributed to creating a powerful voice for our community. In 2015 alone, more than 200 individuals from all over the state participated, networked and engaged on a wide array of topics at the Equality Institutes. Mr. Pritzker’s support for basic fairness for LGBT people dates to his childhood, when his mother involved him in pro-LGBT rights organizing. Mr. Pritzker was among the first business leaders in the state to call for marriage equality, well before the bill was introduced in the Illinois legislature, and led the business community in building support for the passage of the law. With his wife M.K., Mr. Pritzker leads the Pritzker Family Foundation. In 2015, they made a $100 million gift to Northwestern Law School dedicated in part to advancing civil and human rights for LGBT people around the globe. He also led the campaign to build the Illinois Holocaust Museum and Education Center in Skokie. The Equality Illinois Gala, annually the largest LGBT event of its kind in the Midwest, is expected to draw more than 1,000 guests, including nearly 100 public officials and many community VIPs. Tickets and more information about the gala are available at www.equalityillinois.org/gala.